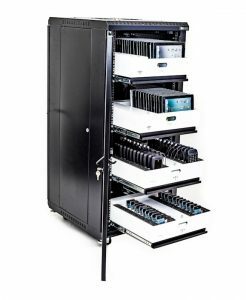 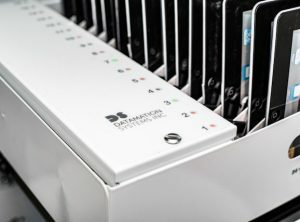 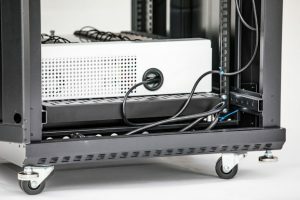 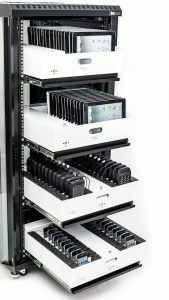 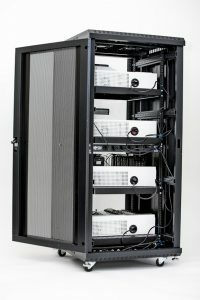 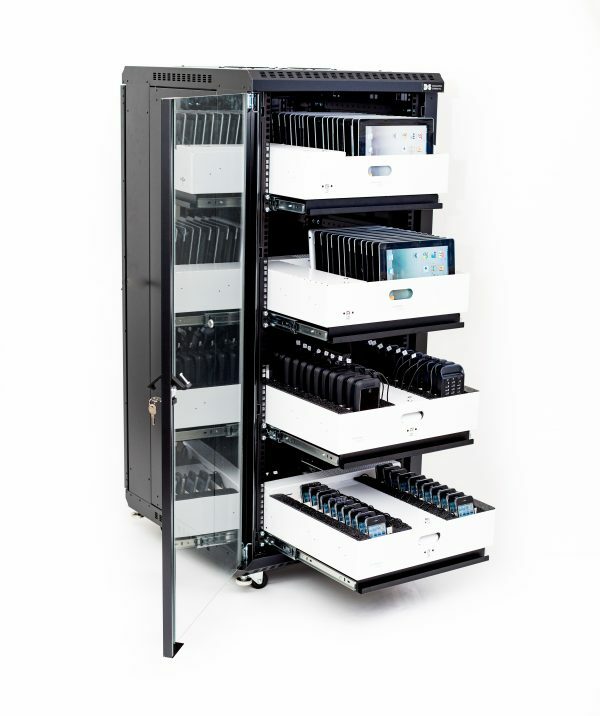 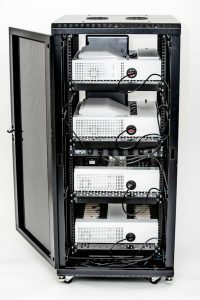 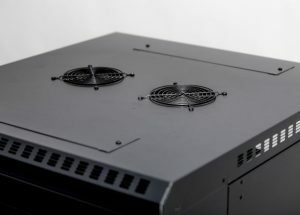 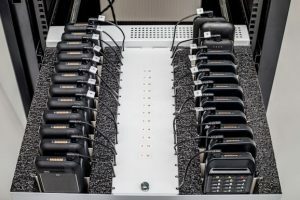 For the large scale storage, security and management of mobile devices, Datamation Systems has developed a 19″ rack mount system that is perfect for applications in healthcare, retail and hospitality settings (among others). 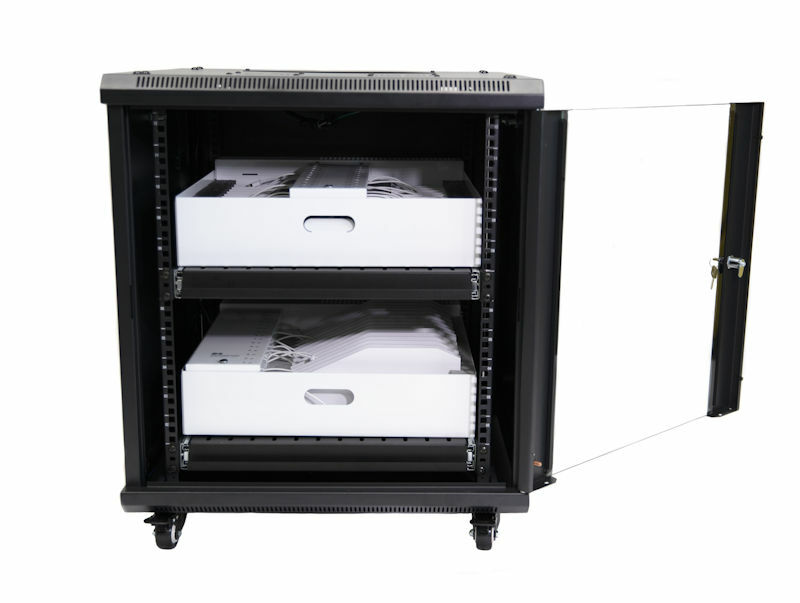 The configurations shown incorporate a glass locking door, ventilation fans, side and rear access for service, casters and levelers. 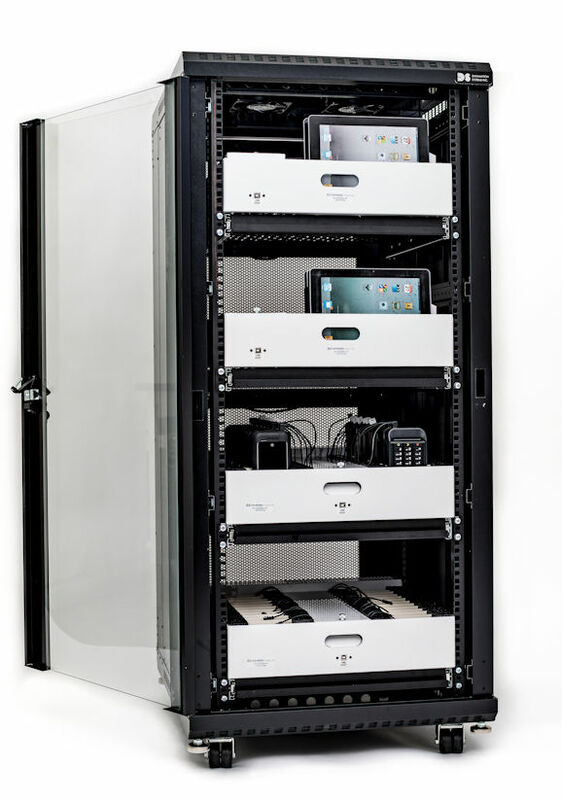 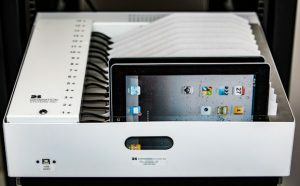 Each level has a pull-out drawer that holds a Datamation Systems Mobile Device Management tray or UniDock. 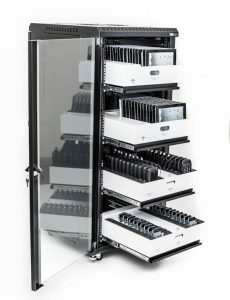 This provides storage, charging, security and network connectivity for iPads, tablets, iPhones, Android mobile devices, and their related accessories (such as cases, Mophies, sleds and bar code readers). 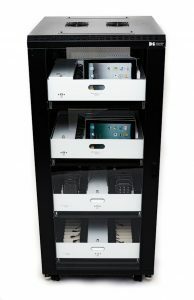 The contents can be the same or mixed. Examples shown 64 iPads and 96 mobile devices or 128 on a 32 slot tray. 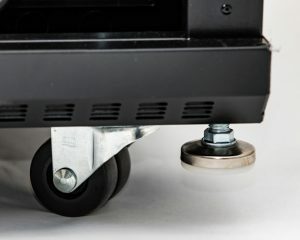 See our video demonstration. 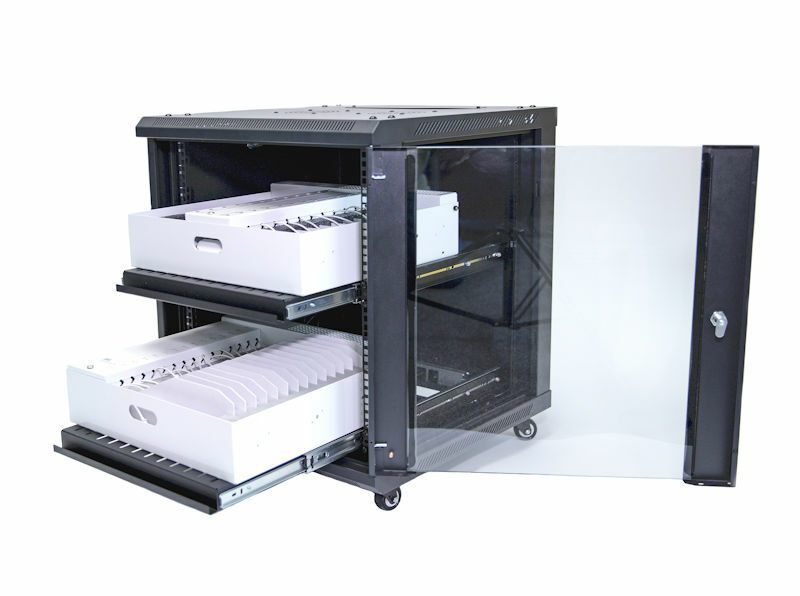 Trays for iPhones, or Other Mobile Devices. 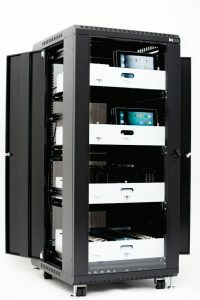 Can also be configurated with UniDocks and iPads. 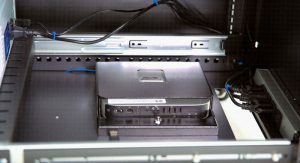 Space for Apple Mini’s and similar host connections. 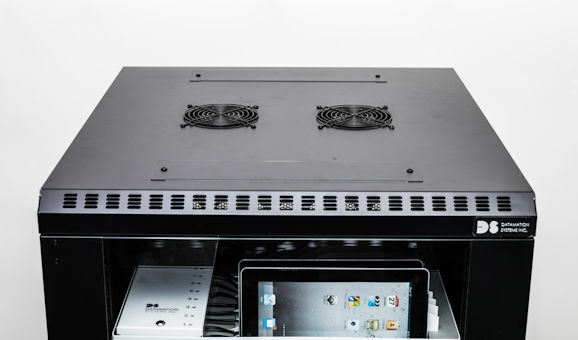 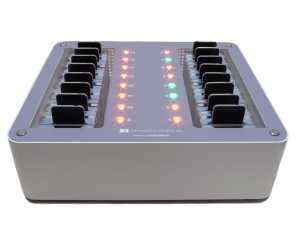 UniDock, an innovative, future-proof smart dock for iOS, Android or Windows smart phones. 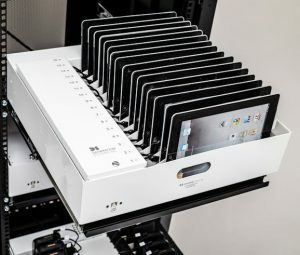 Solutions to charge, sync and manage 16 iPads™. 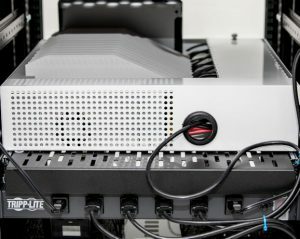 Features unique future-proof, field-updatable firmware.